I’ve had this yarn for a while now and was unsure what to make with it. Initially I thought it would make a good doily but couldn’t find a nice pattern so it sat in my stash. I recently rediscovered Revelry and have since spent hours and hours looking at crochet patterns. I came across the Crochet Unforgettable Scarf by bobwilson123 and it was super easy to understand. I can’t read patterns too well, but this one was good! 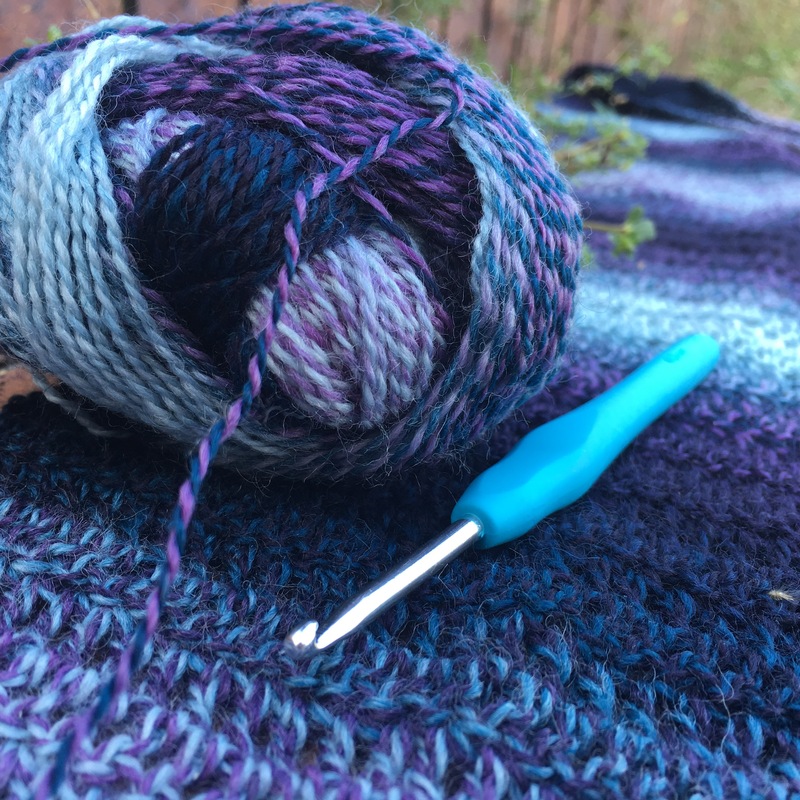 You can use any weight yarn as it’s just a two row repeat! I worked with a 4mm hook and set to work. It came together really fast and was simple enough to be able to crochet without thinking. The wool looks super awesome, like it was make for this pattern. After weaving the ends it was done! I was going to block it but I don’t think it needs it. It’s the perfect length to wrap up in! This pattern is super easy and I can’t wait to try it in all sorts of wool!